Extends and distributes VGA and stereo/digital audio over one UTP CAT5 cable. Dual output: 1 VGA loop output for local, plus 10 x CAT5 RJ45 output for remote side. 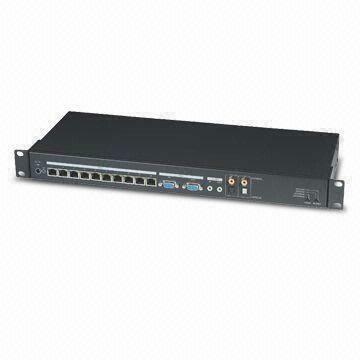 CAT5 receiver option model: VE02ALR, VE02DALS.